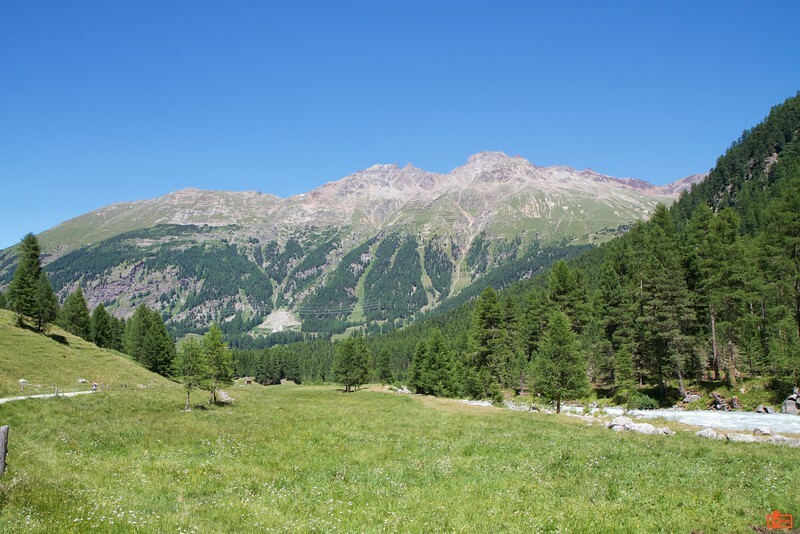 The mountains around Pontresina. It was days like this that I will remember from Switzerland - clean bright skies, rich green valley floors, barren peaks in the background. The horizontal lines on the mountain are fences to contain rock falls and avalanches.